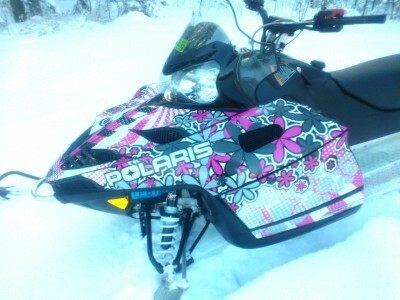 This is a 2011 Polaris IQ 550 with 770 miles for sale by owner. 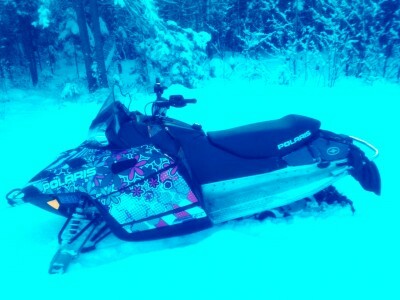 See model specifics at: http://www.polaris.com/en-us/snowmobiles/2011/performance/550-iq-shift/pages/overview.aspx. 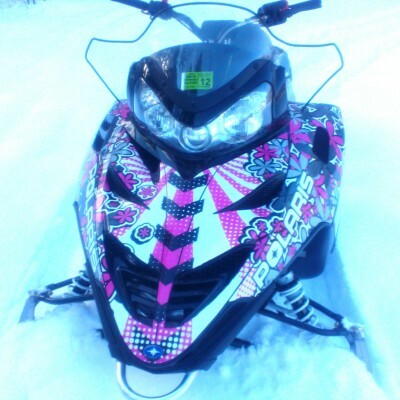 The link will show additional photos of the snowmobile without the custom decal and feature information. 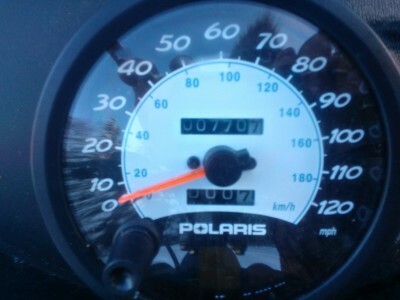 This Polaris is in excellent like NEW condition with only 770 trail miles. It has a studded track (96 studs), dual carbides, cover, and an under the seat storage bag for tools. It is also an electric start or pull start with a button push electric reverse. The studs only have been used for about 150 miles. 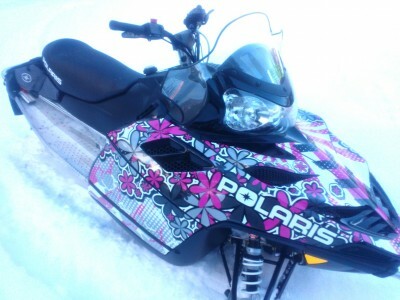 The pictures show the snowmobile with a custom decal, but it is removable and is all black underneath the decal. The snowmobile has been stored either inside the garage or on a covered snowmobile trailer. It was purchased new for about $10,700.00. I am asking for $4100.00 or best offer and will not accept any trades. 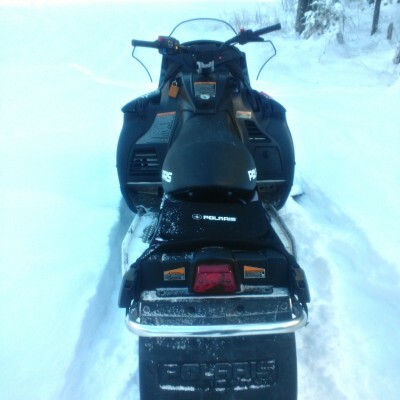 There are no mechincals or cosmetic issues with the snowmobile. I just need to sell due to job relocation. Contact Julie. Please leave a message with your contact information.